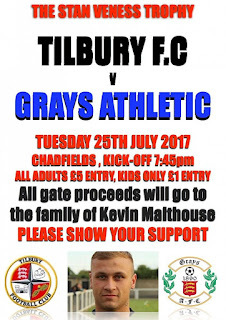 Tilbury and Grays Athletic have announced the proceeds of their annual Stan Veness Trophy game will go the family of Kevin Malthouse who tragically died after being stabbed in an incident which occured on Saturday 1st July. 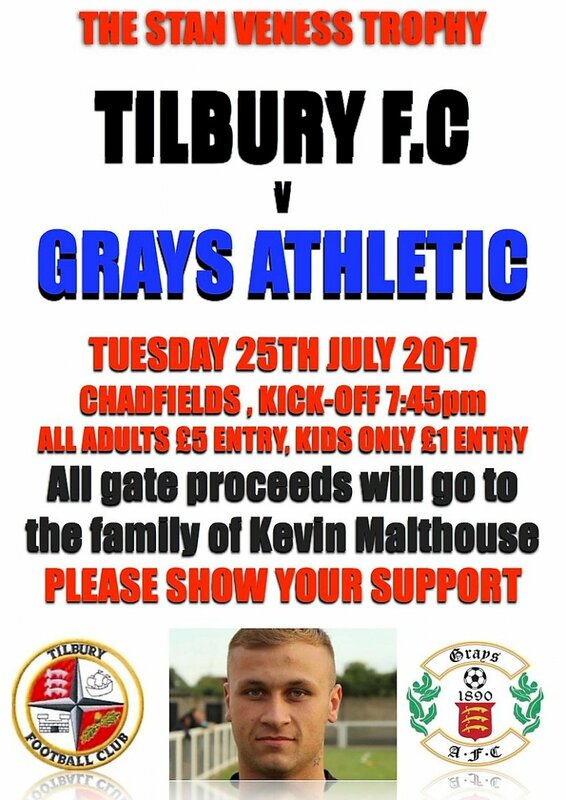 All money raised in the game played at Chadfields will go to Kevin's wife Jodie and his young son Ellis. Entrance has been confirmed as £5 for adults and £1 for kids.